I have a daughter who dislikes challenges. She’d rather give up than persevere. This is probably hugely affected by her sensory processing disorder and ADHD. How, I don’t really know. 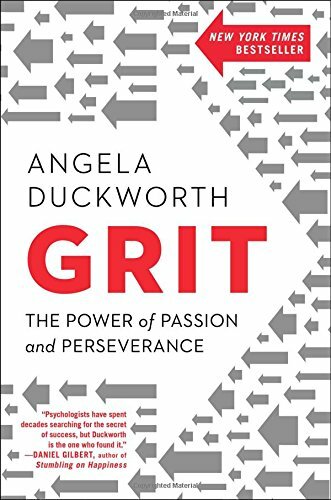 But I do know that she does not have what professor Angela Duckworth calls grit and author Carol Dweck calls it a growth mindset. Or at least it’s hidden somewhere. She’s living with a fixed mindset. This is when you believe that people are either born smart or not; that talents, intelligence, and personality can’t be changed. But we know from decades of research that this is simply not true. Our brains are amazingly malleable, even as adults. 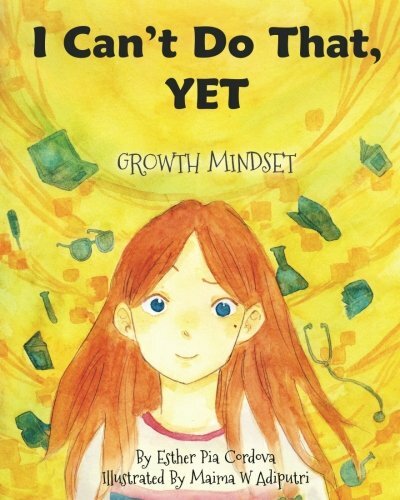 My heart’s desire is that my daughter starts to see her potential by adopting a growth mindset. I want her to believe she can learn anything, grow in areas of challenge, and work hard to solve any problem. 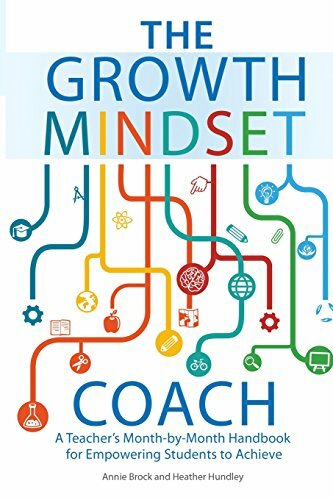 How do I Help Promote a Growth Mindset? 1. Have daily learning discussions. “What mistake did you make that taught you something? It’s really important says Dweck that I share what I learned, too. This models for kids that I learn new things every day, even learning from failures. 2. Give feedback on process only. Praise effort, persistence, strategies, seeking challenges, setting goals, planning, or using creative strategies. Don’t praise personal abilities like being smart, pretty, or artistic. This kind of praise actually can lead to a loss of confidence since kids won’t be smart at everything. They’ll doubt their ability to be good at something that is difficult initially. The research Dweck did on our feedback to kids is fascinating. 3. Do you know brains can grow? What’s more, learning CHANGES our brains. (Again, three cheers for brain growth!) Kids need to know this is possible. 4. Encourage risk, failing, and learning from mistakes. But we often want to prevent our kids from failing, from feeling upset or sad. We must let our kids fail now so that they can strengthen their growth mindset muscles. If we don’t, they will be adults with no perseverance, with no belief in their abilities to work hard and succeed. In The Blessings of a Skinned Knee, Wendy Mogel says to be compassionate and concerned but not enmeshed. Let’s keep each other accountable on this. This is hard but so important. And if when your child fails, celebrate the lessons in the failure. Tell them about all the famous people who failed and didn’t give up. 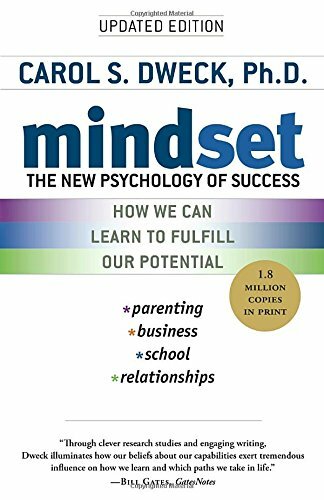 Read one of these biographies of individuals with a growth mindset. Then check out the “You can learn anything” movement that the Khan Academy is doing. Are you in? Go here. 5. Encourage and model positive self talk. Finally, I think it’s worth sharing this self-talk chart from Fieldcrest Elementary. Our self talk is where it all starts to shift. 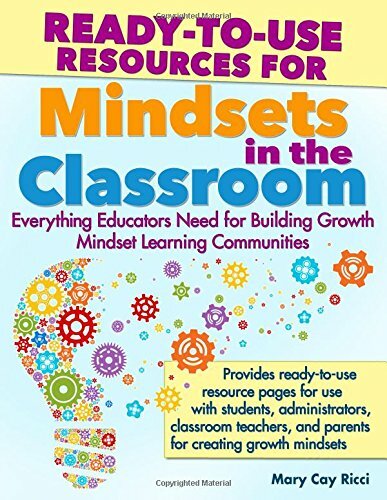 Are you hoping to help your kids shift mindsets? Always find new knowledge every time you visit your site, I also like this . Makes me eager to read your blog, I also have an inspirational page . I am not sure how growth mindset applies to certain neurological realities. My son’s brain may “grow” but it is always going to be autistic and lack executive function. He’s not going to get better at executive function, even if he (fingers crossed) ever develops coping strategies that work for him. That’s what we’re routing for, but we still know it’s just papering over the real problem. The epitome of a band-aid rather than addressing the symptom. Too true. No argument here. Celebrate the incredible plasticity of the brain and how it works to help your son learn to work around his uniqueness. Meet your son where he’s at and work to help him become the best version of himself that he can be. That is what the growth mindset is about. Reality is always more grey than we’d like. I always encourage my children to do their best, not be prefect. No one is perfect. I don’t have all the answers as an adult, but when they ask a question I don’t have an answer to, we look it up together and talk about it. I remind my children to remember when they first rode a bike, or swam, or when they first started walking. It took many many times of trying before they got it. And can even still trip and fall now. Be open minded, try, ask questions, probe for answers, find a way that makes sense to you. Not everyone learns the same way, but you can find a way that works for you. And lastly……believe in yourself, because I believe in them. I stumbled onto your site while searching for Summer Reading List sites to share with parents of struggling readers. What treasures I discovered here! Your site goes to the top of my list for many reasons. My own personal list of books to read … well, I will need to live a long life! Many thanks! The connection between having ADHD and the mindset might not be very strong, as people with ADHD have the ability and also a tendency to hyperfocus even for a long time on a challenge, if it is really meaningful or exciting to them. 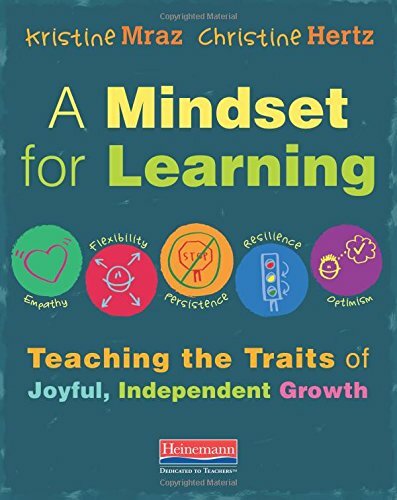 But it might need additional action to embody the growth mindset in a person with an ADHD personality, as those already might have had a very discouraging learning history and a not so ADHD-friendly learning environment. So it is developing a growth mindset and exploring ADHD compatible approaches to learning at the same time. For example, I need a my ADD friendly approach to learning, as I prefer to learn in a series of short and concentrate sprints, interupted by regular short breaks (Pomodoro Method). It was also a breakthrough for me having discovered a working approach how to discover a meaning in most things I have to do (ok, a lot of stuff in school made it very difficult for me, but finally I mastered it 😉 ) My approach to discover meaning is, to envision how might my life could be different, if I would have mastered the stuff, I have to learn. So glad to see this Melissa! Thank you for the tips. We do some of these but we can post them for ourselves to be more intentional. Our child who struggles with this mindset doesn’t have sensory or ADD issues, though. I found this very interesting, and inspiring as well. I also have a child who avoids challenges at all costs. Interestingly enough, she has concentration issues and will be evaluated by the school this year. Did you ever learn more about any links between ADHD and this behaviour? yes — it’s pretty typical as far as I can tell. Also, in my daughter’s case she is a very slow processor so she ends up giving up b/c it takes her so long to figure things out. When I had her tested the doctor said to be very aware of this or she’d be a classic underachiever. I’m still not sure how to make it better for her but it does help to understand the frustration she’s experiencing. Thankyou Melissa for providing such informative,useful and positive information. As a mother f 3, this information is inspiring..
Michael Jordan was not actually cut from his high school basketball team. As a freshman he did not make the JV team, but did make the freshman team and was the top scorer that year. I just wanted to say thanks for being so honest and sharing so much. My daughter has auditory processing disorder and I’ve pulled my hair out trying to navigate her needs. For me I want her to understand her own thoughts, and know that she controls them. This could be the difference between a teen-meltdown spiraling into depression and suicide and bouncing back. When she’s a teen / facing a meltdown what mum says won’t get through so right now is my moment. Society, schools, mothers groups just don’t brush the surface on the most important thing we can teach our kids. Not riding a bike or their abc’s, but thinking about our own thinking. Thanks again for letting me see how a parent with a SPD child tackles life 🙂 you’re an inspiration. it’s hard, isn’t it!? Hugs to you!! A really great, thought provoking read. Particularly like the self-talk poster. Isn’t that genius!? Thanks for the comment.